Despite economic recovery slowly shining through on advanced economies, the global outlook is not necessarily so bright. Investors still remain less favourable towards emerging markets, Abenomics is yet to be fully realised in Japan, and the European Central Bank recently intervened to help fight the threat of low inflation. Where next for Abenomics and the Japanese economy? Hear industry luminaries’ predictions on where best to allocate assets, gauge confidence levels and help you make the right decisions for your clients. Attendance is complimentary for WealthBriefing members but places are limited. Growth prospects and inflation worries in the US, UK and Eurozone Where next for Abenomics: Tackling negativity over government bonds Opportunities and threats to emerging markets and peripheral EuropeHear industry luminaries predictions on where best to allocate assets, gauge confidence levels and help you make the right decisions for your clients. Jonathan is a Partner and the Chief Investment Officer of the Group. He is also a member of the Wealth Management Executive Committee. 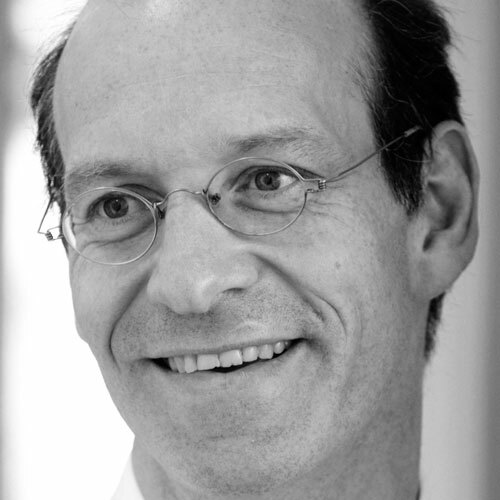 Jonathan has 25 years of experience in fund management, asset allocation and manager selection. Jonathan was formerly Chief Investment Officer of Newton Private Investment Management and a member of Newton’s Executive Management committee, overall investment committee and strategy group responsible for the $37 billion under management. Previously he held senior positions at Principal Investment Management and BZW Portfolio Management. A Fellow of the Securities Institute, Jonathan received his MBA from Cranfield School of Management and holds a BA (Hons) in Economics and Politics. Jonathan is the author of ‘Start With The Map The Right Way Up’, an introduction to investment, and of numerous investment related articles. In addition to Oracle Capital Group, Martin Graham founded and chairs Secondcap, which was set up to transform the efficiency of trading secondary fund interests in private equity. He provides consultancy services to some of the world’s leading general partners. Martin has been appointed to a number of boards including the Moscow Stock Exchange, where he is chairman of the board risk management committee. Between 2003 and 2009 Martin was director of markets and chairman of AIM at London Stock Exchange, where he was responsible for over $500 million of revenues and 75 per cent of group profits. Martin led the exchange’s growth strategy, resulting in a fivefold increase in market size between 2003 and 2008. In addition he was instrumental in building the company’s international franchise. Prior to joining the LSE he held a series of senior positions in the global financial services industry including head of pan-European equities and global head of equity sales at Dresdner Kleinwort Benson. 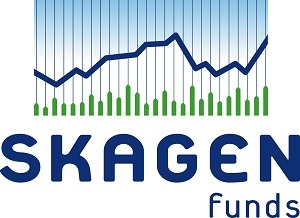 Torgeir Høien has managed SKAGEN’s global government bond fund SKAGEN Tellus since launch in 2006. Prior to joining SKAGEN, Torgeir was senior economist at Svenska Handelsbanken in Oslo and is a former external member on the board of directors of Norges Bank, Norway’s central bank. As well as running SKAGEN Tellus, Torgeir provides a macroeconomic perspective across SKAGEN’s broader equity and fixed income investment platform. He is a regular commentator in international publications such as the Financial Times. Silvana Tenreyro is professor in Economics at the London School of Economics. She received her PhD in Economics from Harvard University in 2002 and an MA from the same institution in 1999. She is director and editorial board member of the Review of Economic Studies and serves as associate editor for Journal of European Economic Situation, Journal of Monetary Economics, and Economic Journal. Tenreyro is an external MPC member for the Central Bank of Mauritius and a member at large of the European Economic Association. She is a leading academic at the Centre for Macroeconomics, research associate at CEP and CEPR, and an academic visitor at the Bank of England. In the past, she acted as a panel member for Economic Policy, director of the IGC Macroeconomics Programme, and she chaired the Women in Economics Committee of the EEA. Her main research interests are macroeconomic development and monetary policy.